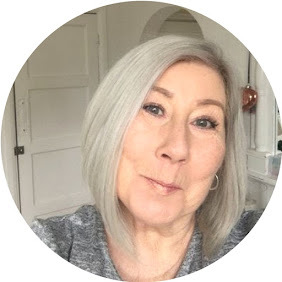 I have recently discovered Lola by Perse and wrote about their eye shadows here , this time it is Blusher and Lip Gloss. Starting with the Lip Gloss, if I am honest on opening the box I instantly thought, nope wayyy to dark and in your face for me, I don't do bright colours. That was until I tried it, shade 012 Deep Pink which has a shimmer of gold that really softens the look, they comes in 8 shades and there are definately a couple more I want to try, I am a huge fan of lip gloss, however I am really fussy when it comes to buying them, and will never again buy online without first testing myself or reading a review, what looks a great colour in the tube often comes out resembling pale Vaseline ! not these, fab true colour that applies easily, is long lasting for a gloss and feels non sticky, I have to say I am seriously impressed. Next up is the Blush I tried the shade Deep Rose 05 it comes in 4 shades, Deep Rose being the second to darkest shade, it was too dark for me and I could have gone one or two shades lighter, that said the product itself is great, I am always a little wary of powder blushers, being of a *cough* mature age :) I tend to find they highlight wrinkles, and can creep into them over time, not this, it is a lovely creamy texture with a really high level of pigment, so you only need the tiniest amount. I have to say I really do like the smaller size of all the Lola compacts, it makes it so much easier to carry your make up around. I have heard of this brand but have not ever tried their products so it was really great to read your review.